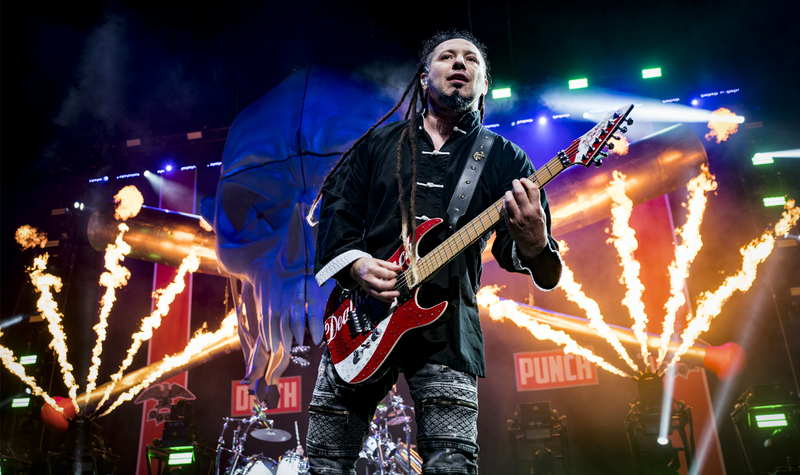 Breaking Benjamin and Five Finger Death Punch (with support from Nothing More & Bad Wolves) have been crushing large indoor arena’s and outdoor amphitheater shows throughout the summer. On August 29th they descended upon the “Windy City”, a.k.a. Chicago, after a couple much needed days off. With two music juggernauts topping the bill, this has been a “co-headlining” tour. On the evening of the 8/29 show, it was Breaking Benjamin who headlined. 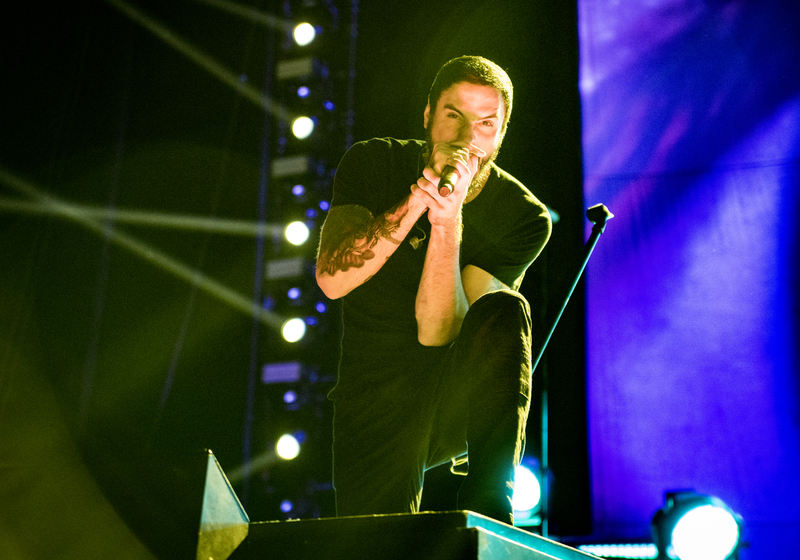 Touring in support of their Billboard #1 Rock album ‘Ember’, Breaking Benjamin has been touring non-stop since its release in April 2018. Despite their grueling road schedule, the band dusted off any road rash with a blistering set like they were still teenagers. Bold, brash, brutal… I must be describing Five Finger Death Punch. But I should also include philanthropic and supportive. It’s often the drama around the band or their in your face persona that people focus on, but if you’re paying attention and more than just an occasional voyeour, you’ll know the band is a big supporter of the military and military families, police and first responders, and childrens hospitals. Both Breaking Benjamin & 5FDP have been running childrens hospital promotions during this tour and I want to commend them both for it. As for their set – they always deliver an amazing performance, but this tour they’ve included a lot more pyro than ever. The 13 year old “Beavis & Butthead” in me couldn’t get enough! 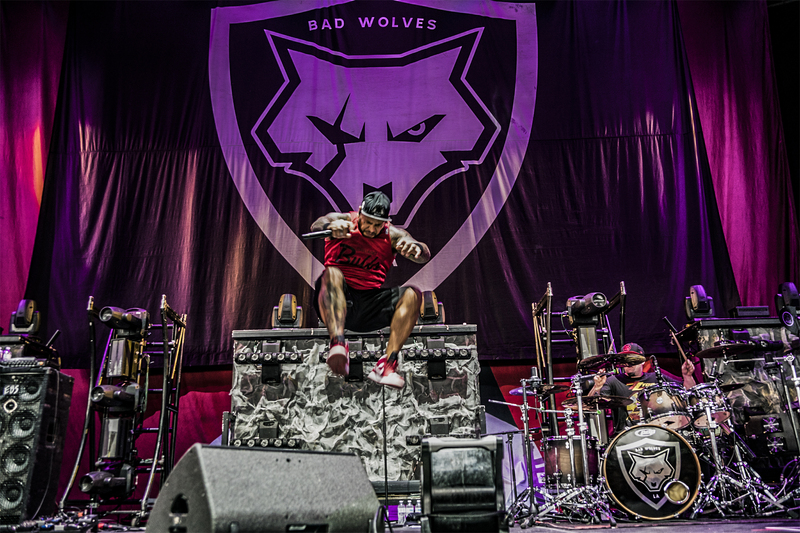 Starting off the evening was Bad Wolves, whose cover of “Zombie” by The Cranberries was recently certified Platinum. There’s another week of this tour before it ends in this form. The co-headliners will reunite in November for another run, but don’t wait if you don’t have to. 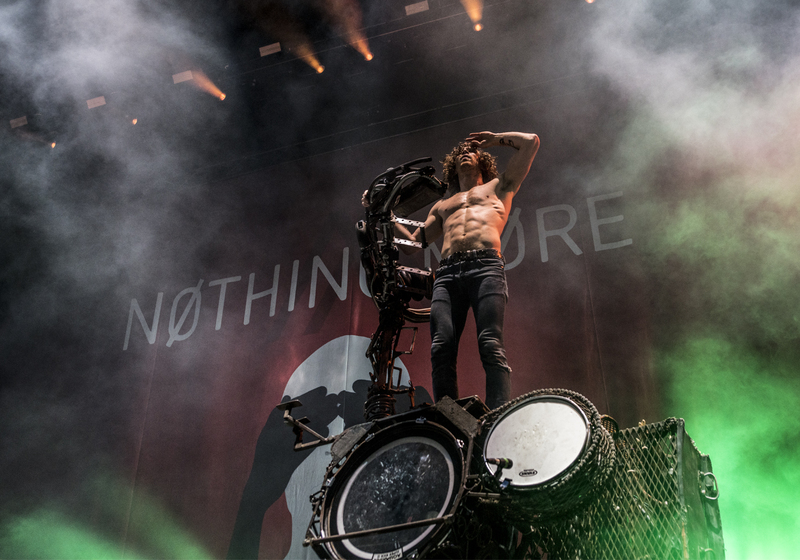 Nothing More will be heading to Europe with Bullet for My Valentine in late October so don’t wait! Aftershock Almost Sold Out – Get Your Tix NOW!